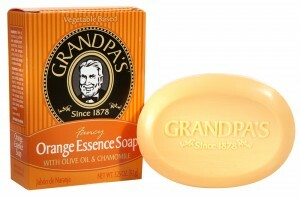 Olive Oil enhances this creamy citrus bar making it ideal for dry skin. Chamomile helps relax and comfort you. Ingredients:Coconut oil, palm oil, purified water, vegetable glycerin, chamomilla recutita extract, olive fruit oil, witch hazel, essence of orange.